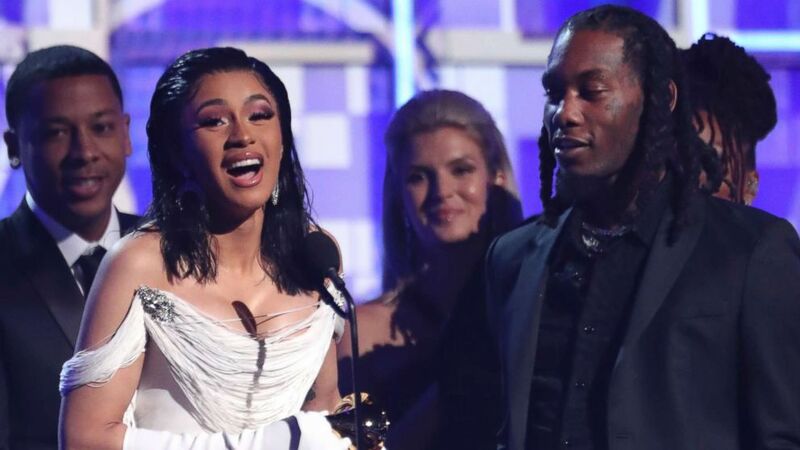 After the #GrammysSoMale hashtag trended during the 2018 award show, with only one female singer, Alessia Cara, accepting an award during the broadcast, all eyes were on this year's show to see how females in the music industry would fare. @spaceykacey has her hands full of GRAMMY gold! Congrats on taking home Album Of The Year ?? Where would you keep all of your #GRAMMYs? (Matt Sayles/Invision/AP) Cardi B accepts the award for best rap album for "Invasion of Privacy" at the 61st annual Grammy Awards, Feb. 10, 2019, in Los Angeles.